Today at myStamp BOX we are sharing projects featuring tags. 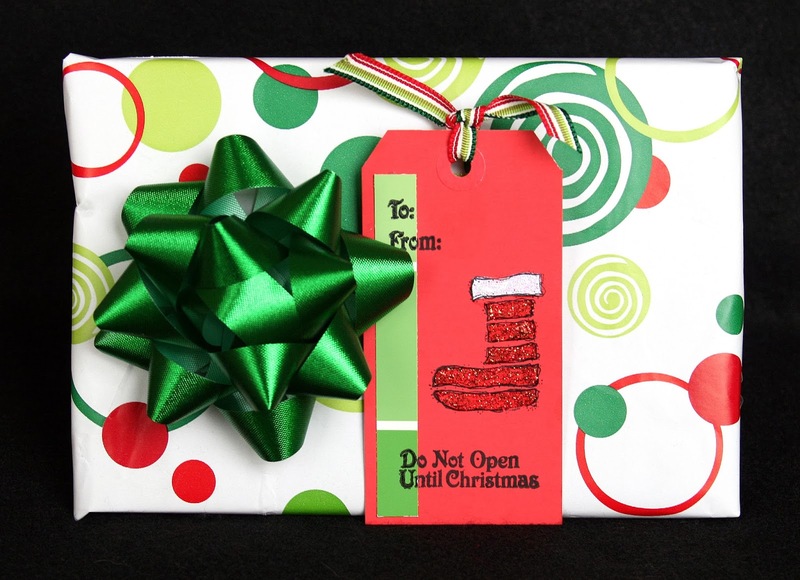 Tags are especially helpful at this time of year and can be a decorative addition to gifts. I used a strip cut from a paint sample from the home improvement store as an embellishment down the side. I stamped sentiments from Santa's Tags directly onto the tag, overlapping the paint strip. Click on the project photo for a closer view. The stocking was also stamped directly onto the tag using the Dotty Christmas set of stamps. I stamped the top of the stocking onto white cardstock, cut it out, and adhered it to the tag. The entire stocking image was covered with Stickles glitter glue for a little extra sparkle. Be sure to check out the myStamp BOX store for these and other great stamp sets!